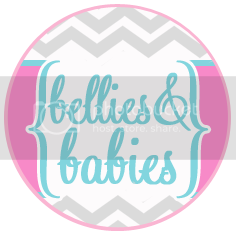 Bellies and Babies: 35 Weeks! Just about one short month left until Lexi gets here! After being at my parents' house for 2 weeks, I was dying to get home and unload all the goodies from my baby shower. I spent Monday doing lots of (pink!) laundry, cleaning, organizing and decorating. Except for a few random decorations and little things, Lexi's nursery is ready for her! I am feeling really good overall, and am so happy/thankful that I've gained so much less weight with this pregnancy. Yes, I get really sore at night. Yes, I have a hard time moving around as easily. Yes, I get hot and tired faster. BUT, I feel and look so much better than I did with Jax at this point and I am so glad for that. I had my prenatal appointment yesterday (Thursday) morning. Everything went really well! My OB did an ultrasound to check her position (HEAD DOWN!!!) and to measure her. Ultrasounds can be off by about a 1/2 pound either way, but she measured at 5 pounds 9 ounces, so that's exciting! We discussed scheduling a csection for about 2-2.5 weeks after I'm due, just in case it becomes necessary. Ryan and I feel comfortable doing that, but we obviously are assuming it won't even matter. I'm already 1cm dilated and a bit effaced, so I'm pretty sure Lexi girl won't be over two weeks late. I start weekly appointments from here on out! 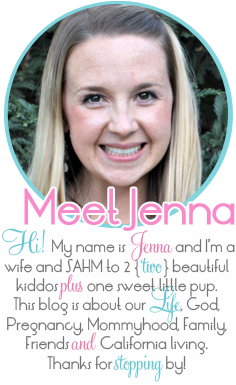 Jenna - that is all GREAT news! 1cm and slight effacement....yep, your body and those braxton hicks are doing their job. 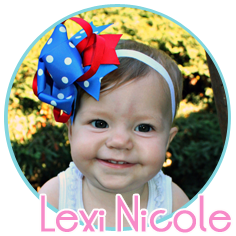 Put up some pics of Lexi's room....would love to see it. 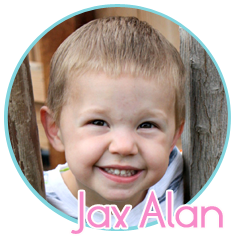 Enjoy your BIG boy this weekend - Happy Birthday Jax! !